It’s like having two favorite blankets in one…luxurious sherpa on one side, soft ultra plush on the other. 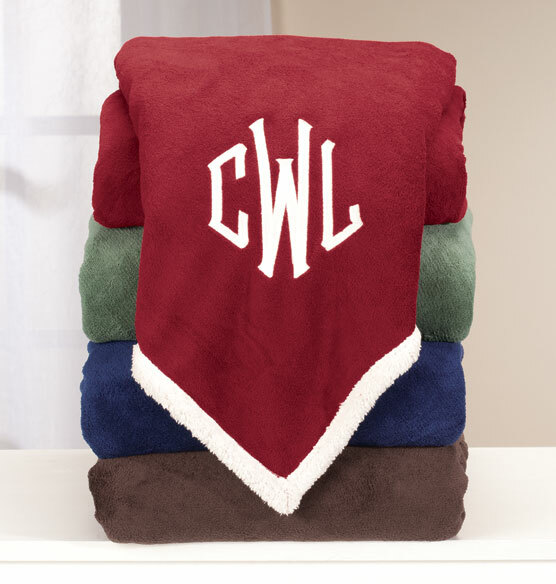 The personalized ultra plush sherpa throw by OakRidge™ is perfect for staying warm and cozy on your bed or couch. Designed exclusively for Exposures by OakRidge™, this monogrammed throw blanket makes travel and sporting events more comfortable. Makes a great personalized gift!